A comprehensive offline English Myanmar dictionary. - You can use the app offline. - Common phrases and sentences. 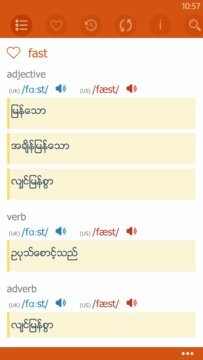 - Definition entries contain parts of speech, US + UK pronunciation and IPA, usage example, Myanmar transliteration. 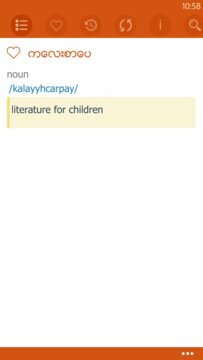 - Auto detect Myanmar and English text. - Quick look feature: quickly look up a word by tapping on it in definition page.